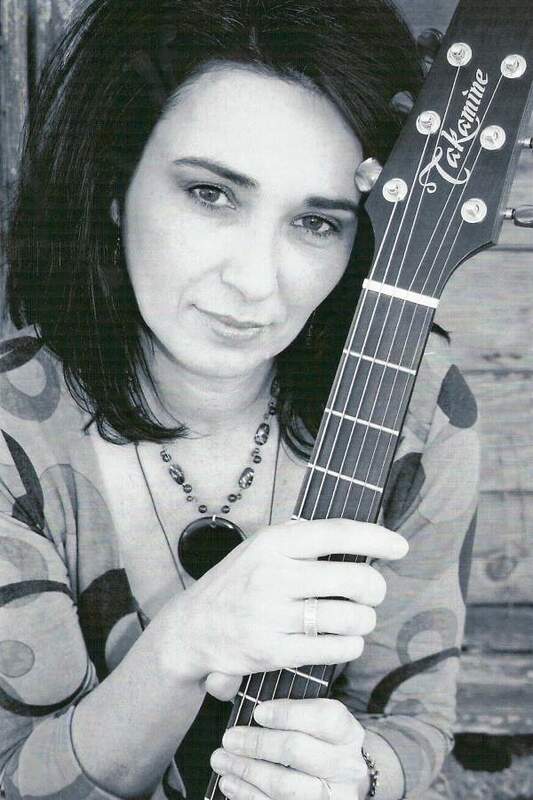 Dec. 12, 2008 -- KASU 91.9 FM presents Vikki McGee at the next Blue Monday-Paragould tonight from 7-9 p.m. at the Red Goose Deli, 117 N. Pruett Street, in downtown Paragould. Jonesboro's own Vikki McGee hails from the small town of Port Barre, Louisiana, in the heart of Cajun Country, and her big voice belies her small-town origins. Admission to the Blue Monday-Paragould concert featuring Vikki McGee is free, but seating is limited. Vikki McGee is among the third generation of musicians on her mother's side of the family.Her family includes her great-grandfather, Dennis McGee, fiddle player, respected by many Cajun musicians as the "Dean of Cajun Music;" his son, Gerry McGee, guitarist for the Ventures, among his many accomplishments; and Randy James Latiolais, powerhouse acoustic man with whom McGee performs when she is back home in Louisiana. All are very powerful influences on her sound and music. It has always been very hard for McGee to label herself because she is such a versatile singer. "I love all kinds of music, never could settle on one. I grew up listening to everything from Ray Charles to Aretha to The Carpenters to yes, even Ozzy! I just sing it all, but I guess my favorite is rhythm and blues and that south Louisiana swamp pop sound. When I write, every song is different; some have a country feel to them, some are blues, some Rock and Roll, just whatever I feel at the moment. When I dance, which is something else us Cajuns like to do, I want to be home listening to a Zydeco/French band. That's when you really pass a good time, there is nothing like it!" McGee has led many bands including Louisiana Fire, which opened for many groups such as Little Texas, Restless Heart, Tracy Lawrence, Shenandoah and others. While with Louisiana Fire, McGee toured throughout the South. Vikki McGee has performed for Jerry Jones at Dallas Cowboys victory parties, and she has also sung at a pre-inaugural party for Arkansas' Governor Mike Beebe. McGee now leads her own band, the Vikki McGee Band, which consists of Vikki McGee, lead vocals/rhythm guitar; Sonny Campbell, bass; Chris Whitten, lead guitar; Cindy Scott, piano; Jimbo Gramling, drums; and Kierra McGee, harmony vocals. McGee has also recently recorded a CD of original songs, taking some time out to really focus on writing and recording. McGee says, "I have been asked my entire singing career, 'When are you going to do an original CD?' Well, it's finally here. I have written my entire life, but was never comfortable enough to record. I finally realized, I think I have a place in this world of music and its not continuing to cover other people's material. I want to do my own songs and hopefully it reaches others. I want to write and sing songs that move people, whether it’s to smiles or tears or maybe even chills." She continues, "The CD is titled "Never Knowing." It's very appropriate at this time in my life. You just never know where you are going to be in your life at any given moment. The best you can hope for is to be able to hang on and enjoy the ride and music for me makes the ride less bumpy." The “Never Knowing” CD is available at cdbaby.com, itunes.com and at all of Vikki McGee's shows. Blue Monday concerts are held on the second Monday of the month at the Depot Diner in downtown Newport and the third Monday of each month at the Red Goose Deli in downtown Paragould. KASU is the 100,000 watt public broadcasting service of ASU-Jonesboro. For details, contact KASU development director Todd Rutledge at (870) 972-2807.